The sourdough starter in this Polish rye bread recipe (loosely translated as chleb na zakwas żytni) gives it a delightful tang, but it takes two days to ripen, so plan accordingly. As an alternative, there is a shortcut you can use so you can make your dough and enjoy your loaf on the same day. ﻿Many people are familiar with white sourdough breads but don't realize some deli ryes are made with a sourdough, too. 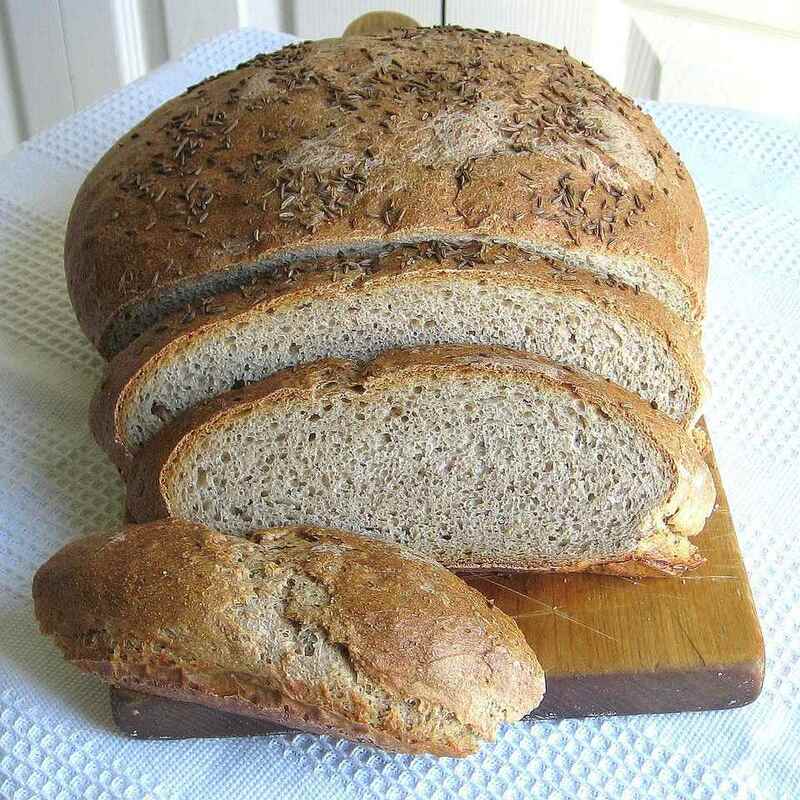 Rye breads and wheat breads must be lightened with white flour otherwise, they would be too dense. Brushing with egg white before baking gives this bread a nice shine. Note: while there are multiple steps to this recipe, they are broken down into workable categories to help you better plan for preparation and cooking. In a small bowl, mix together the 4 tablespoons rye flour and milk. Cover with plastic and set in a warm place to ripen for two days or until it smells pleasantly sour. In a large bowl, combine 4 cups rye flour and the all-purpose flour, salt, yeast, butter, water, and starter. Knead 7 minutes by machine or 10 minutes by hand. Place the dough in a clean, greased bowl, cover with plastic, and let it rise in a warm place until doubled, about 1 hour. Punch down the dough, knead it for 1 minute and divide it in half. Shape each dough half into a round on two parchment-lined baking sheets. Cover each round with oiled plastic and let them rise 30 minutes or until almost doubled. Brush the risen rounds with egg white and sprinkle them with caraway seeds. Bake 35 to 40 minutes or until instant-read thermometer registers 190 to 195 F and bread sounds hollow when tapped. Slide the bread round off the baking pans and cool them completely on a wire rack. If you have leftover rye bread and it's starting to go stale, put it to use making rye croutons to enjoy on salads and soups. Waiting two days for your starter to develop isn't always an option. Instead of making a starter, substitute 1 1/2 cups buttermilk and reduce the water in the recipe from 2 1/2 cups to 3/4 cup. Dried Mushroom Soup Recipe: This hearty mushroom soup is made with the prize of Polish forests—the borowiki mushroom in its dried form and reconstituted. Dill Pickle Soup Recipe: Despite its strange-sounding name, dill pickle soup is a traditional offering. This recipe is authentic and comes from the village of Gwizdały in Poland. Oxtail-Barley Soup Recipe: Originally made with tails from oxen, modern versions feature beef tails and is a delicious example of nose-to-tail eating so common in farming communities.